Dewey Beach Delaware Condos & Townhomes. There are currently 31 Dewey Beach Delaware Condos Townhomes for sale. 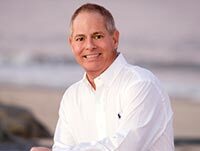 We are your Dewey Beach Delaware real estate specialist offering ALL Condo & Townhome sales Dewey Beach Delaware Real Estate For Sale. Selling? Have YOUR PROPERTY FEATURED on Dewey Beach #1 real estate website. Welcome to Blue Surf in Dewey Beach - only 100 yards to the ocean! Discover an ocean block end unit townhouse with 5 bedrooms, 3 1/2 baths, updated kitchen, great room with fireplace, dining room, & ocean and bay views! Back of townhouse has 3 levels of decks, common area picnic tables, & two parking spots. 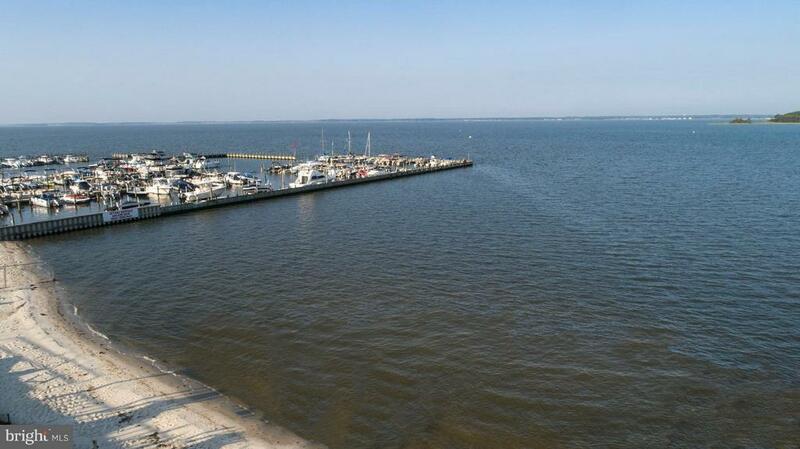 Front has 3 levels of decks with views of the Atlantic Ocean & Rehoboth Bay and wonderful breezes! 1st level has two bedrooms & one full bathroom. One ground level bedrooms has a wet bar. The 2nd level is an open plan & perfect for entertaining with kitchen with tile floors, dining room with window seat, & great room with coretec flooring & wood burning fireplace. Great room has sliders to a deck to enjoy sunrises and sunsets. The 3rd level has master bedroom & two additional bedrooms that share a bathroom. Rental history about $40K a year for weekly rentals. Still some weeks left for you to enjoy for yourself this summer. Brand new decks being installed fall 2019. Sellers to pay the $34K assessment. Start living the Dewey Beach Way of Life today! Dewey Beach! Bay and marina views! This 4bed/3full bath is highlighted with 2 master beds. The entire exterior of the community was just tastefully renovated last summer. A one time assessment of $33K was imposed to the owners. THE OWNER WILL PAY THE ENTIRE $33K ASSESSMENT at time of settlement for an acceptable contract!! Renovations include new roof, siding, trex steps and staircases, 2 trex patios accented with vinyl rails, common ground maintenance, tennis areas, in ground pool areas & fencing. Summer lease in place ($18,200) for the 2019 season. Money in the bank! The interior shows just as well as the exterior! The granite kitchen was renovated 3 years ago, HVAC 3vyears old, custom colors and crown molding throughout, replaced vinyl windows and sliding doors, all new interior 6 panel doors, custom blinds and valances, skylights and to cap it off a gas fireplace to enjoy in the off season! !This home comes completely turn key and fully furnished, furnishings 3 yrs young. Only one short block to the ocean and only 50 steps to the bay, this unit offers a great rental iestment opportunity or personal use. Why pay the price of new construction??? Park your car, hide the keys and walk to everything that beautiful Dewey has to offer! The Surfrider is only 90 steps to the beach and located on the OCEAN BLOCK of New Orleans St. 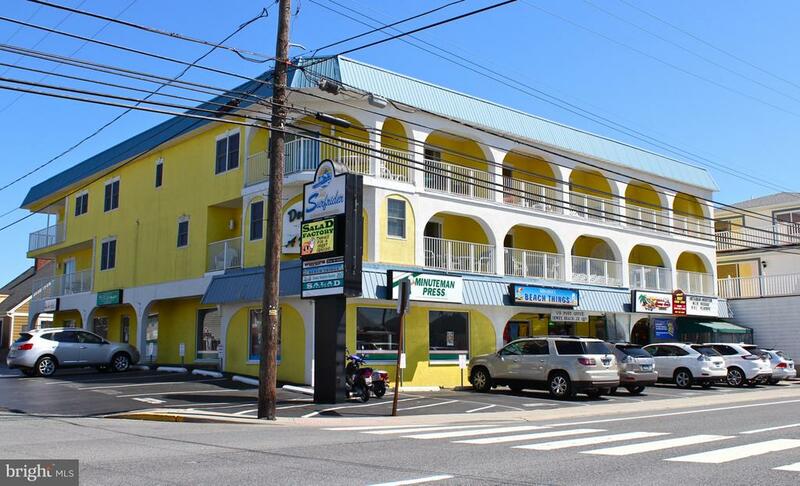 Easily considered one of the best condominiums in Dewey Beach with top notch restaurants on the first floor (Woody's & Sirveza) and a well kept exterior that shows how well the property is maintained. The unit offers 2 decks and a back patio for enjoyable outdoor dining and relaxing. Excellent rental history with on site management make this property a great option for hassle free Dewey Beach ownership. New kitchen, tile floor, and paint added in the Spring of 2018! 1 bdrm + loft (2nd bdrm) l + 2 full baths located in the ocean block on the Rodney St. side of the Delano. This unit does not face Rt. 1. You have a peak of the ocean and of the bay from this condo. The large loft can be coerted into a separate bdrm w/bath. Parking is under the building and the unit is up 2 floors. Granite kitchen counters. Ocean front in Dewey Beach. Steps to the beach. Listen to the ocean waves from your front porch. Relax on your front porch and see it all. 2 assigned parking spaces. Being sold furnished. Beach lovers take note! This recently updated condo is only one block to the ocean and ideally positioned to enjoy the close proximity to the heart of Dewey Beach yet tucked back and far enough away to capture peaceful beach days and evening sunsets over the bay from your double balconies. Being sold fully furnished and turn key this is the beach getaway you have been looking for! It's the largest one bedroom condo in this building. Never rented and in pristine condition, it sleeps 4-6 people comfortably with a rental potential of $20,000 per year. Brand new flooring, stainless steel appliances and granite countertops in the kitchen. You'll love the coeniences and added amenities that Marina View presents to you like the rooftop pool, lounge and outdoor kitchen with BBQ grill, beach storage locker, bicycle racks, outdoor showers, spacious lobby/ lounge area that offers free cable and WiFi. There are TWO parking spots and video surveillance. PLUS owners receive a discount at the Marina slip offering you water access for all the water activities you can think of right outside your front door! Summer is just around the corner - don't wait to see this rare to the market SPACIOUS one bedroom TURN KEY condo waiting for you between the Atlantic Ocean and Rehoboth Bay! Be sure to check out the video of this listing. The bird's eye view shots are pretty incredible! 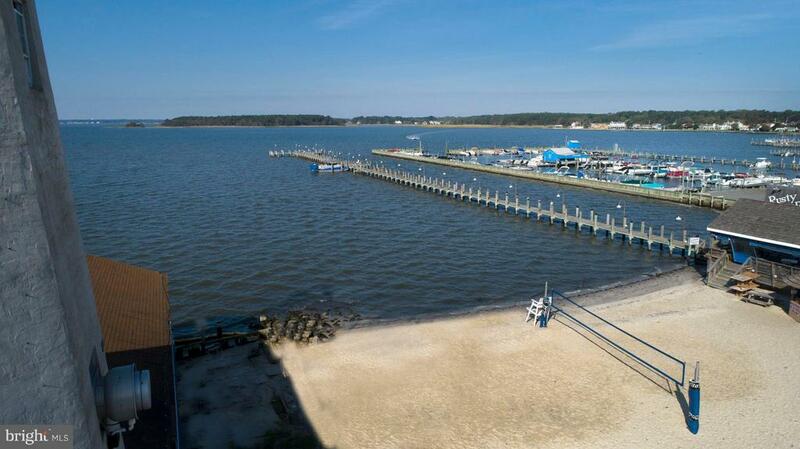 Enjoy bay views and amazing sunsets from this renovated condo in the Cove in Dewey Beach! 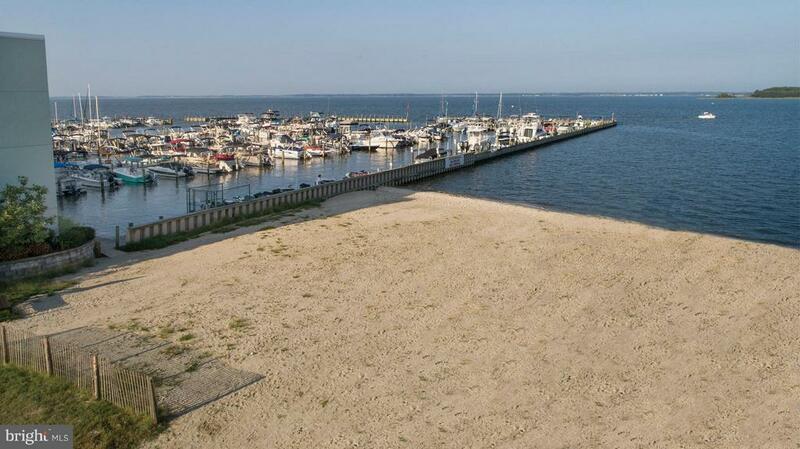 This second level condo overlooks the Rehoboth Bay and has an updated kitchen and bathroom and updated flooring. This two bedroom, one bathroom condo comes fully furnished and has a great rental history! New trex deck is the perfect spot to watch sunrise or sunset! The Cove features a community pool, tennis court, and small community center with games and bathrooms. The Cove also has a sandy beach on the Rehoboth Bay at the end of the street and is only one block to the Atlantic Ocean. Coenient to all Dewey and Rehoboth restaurants, shops, and attractions! Exterior of building just updated with new Trex decking. One assigned parking spot. Start enjoying the Dewey Beach Way of Life today!